Ask a Walmart Expert: Will Walmart Ad Match BOGO Deals? UPDATE: Since this post was written, Walmart has changed the price match policy in Florida to make it the same as in the rest of the United States. You can disregard the information concerning Florida as the top part of the post now applies to all 50 states. 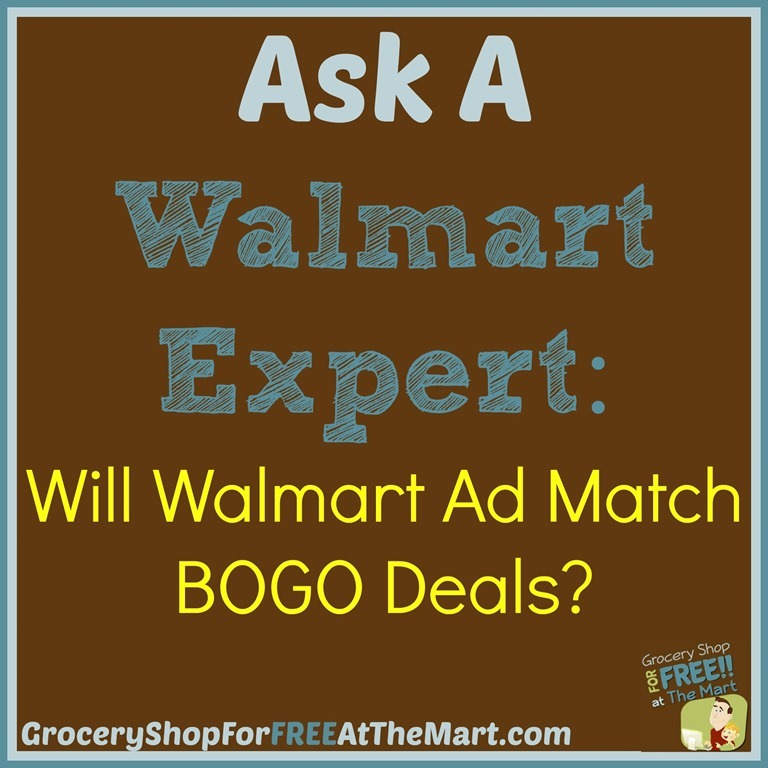 Will Walmart Price Match BOGO Deals? This question is a little tricky to answer because there is one state in the union where the rules are different. Walmart has a completely different set of BOGO rules for the great state of Florida so let’s look at the other 49 states first. The main thing you need to know is that as long as the Walmart cashier can figure out a FINAL PRICE on something, they will ad match it. Here’s the wording in the Walmart Ad Match policy online. So as long as the price of the item you are buying is listed, they will gladly match it. 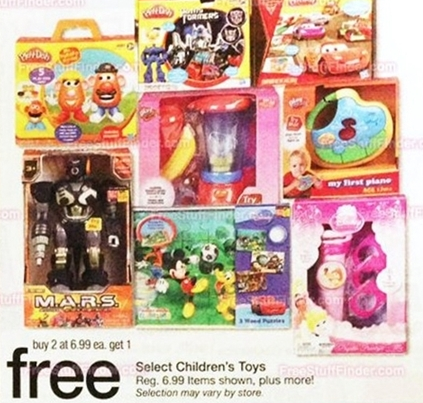 So if the ad just says BOGO and there are no prices given, you are out of luck. Walmart needs to know what you would pay walking out the door at the other store for that item. So this isn’t the best example because it’s B2G1 but the idea is the same. 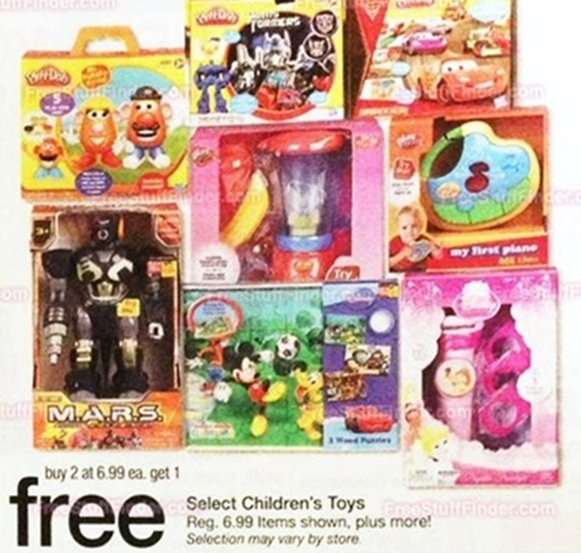 Because a final price is listed, if Walmart carried any of these products, you could get 3 and pay $13.98. 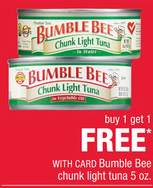 Here’s an example of a BOGO deal you CANNOT ad match. There is no final price listed so Walmart doesn’t know what to do with the price. Even if you go to CVS and take a pic of this product on the shelf with the tag and try to show it to them, they won’t PM it because it has to be in the ad. Remember that this principle holds true for any variation of the sale. So if an ad is BOGO, B2G1, B3G1, Buy 2 and get a third for a penny, Buy 1 Get a 2nd half-off, whatever, as long as there is a final price printed in the ad, Walmart will ad match it. No final price, no ad match, ever. And just to be clear, when I say “final price” I mean the price BEFORE any coupons, RR’s, ECB’s or other discounts are removed. Here is more info on that if you need it. So Florida has it’s own set of rules concerning ad matching BOGOs. In that state, Walmart is out to get Publix and Winn-Dixie so they will allow you to ad match BOGOs, even if no final price is listed and they will do it at Walmart’s prices. 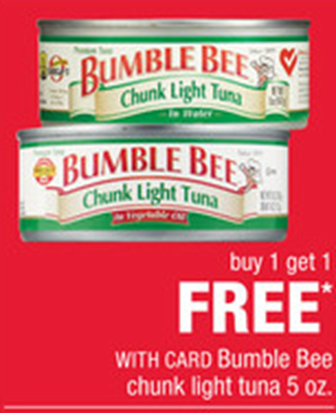 So if Publix puts Bumble Bee Tuna on sale for BOGO, Walmart will allow you to get 2 cans for what ever the price of a single can is at Walmart. The only catch is there is a limit of two PM’s (4 items) per deal. If you would like to see how this store policy evolved over time, you can read my article here. You can see more of the Resources I have for Couponers here. I hope that clears up any confusion but if you have any questions, please leave a comment and I’ll get back to you. BOGO with a listed price…. My local grocery had bacon on sale, BO @7.89 GOfree. Walmarts price for that very same bacon is $4.98. I want to buy the bacon at the cheaper price and still get one free, but the cashier says I have to pay $7.89 because that is the price listed in the ad. All the policy says is the price has to be listed in the ad, NOT that I have to pay the price listed in the ad. Do I pay $4.98 for the bogo or $7.89? $7.89 for 2. When ad matching, you are matching the deal at the other store. You would pay $7.89 for 2 packs of bacon there, so that’s what you would pay at Walmart.